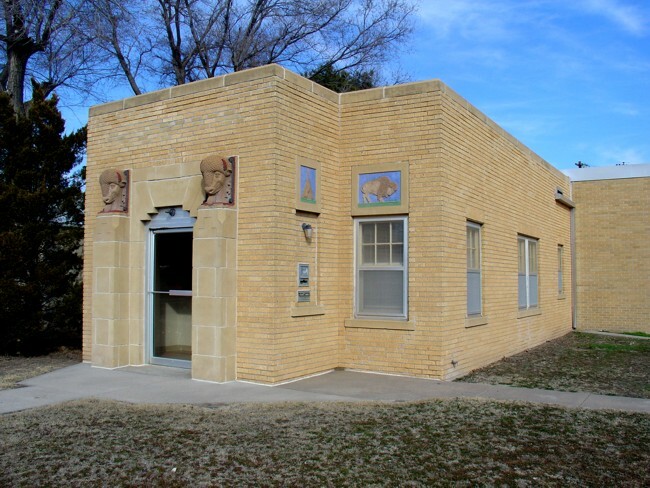 This building created for the Southwestern Bell Telephone Company in 1932, was designed by architect, Glen H. Thomas. 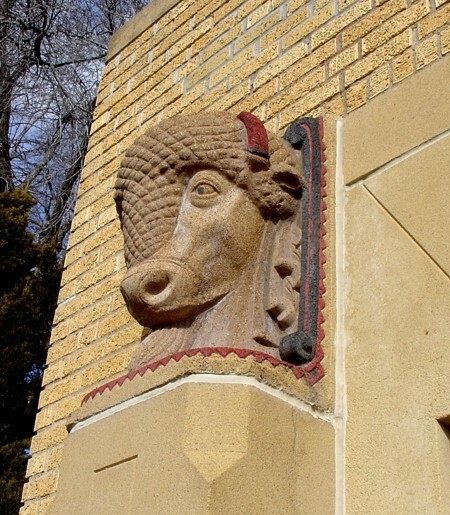 Adorning the building is terracotta sculptures by Bruce Moore. 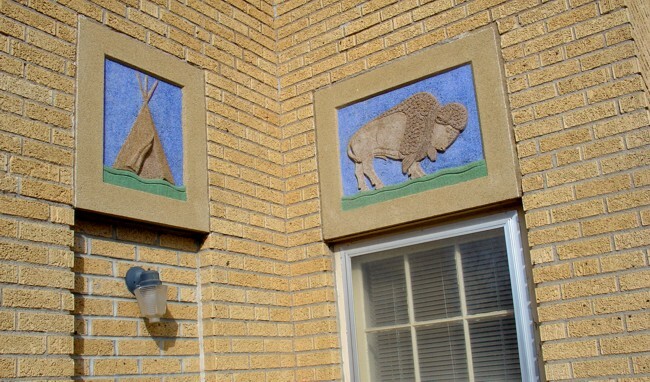 Two buffalo heads atop columns flank the front door and relief sculptures of a tepee and full-body buffalo profile adorn both sides. Bruce Moore was a young artist in Wichita in the thirties and went on to acquire world fame for his work.